This is an interesting ‘open range’ that we restored for a client in Scotland. It dates from the 1870s and was most likely manufactured by Carron Company, Stirlingshire. It was in a terrible state when it arrived with several missing parts and many original parts beyond repair. 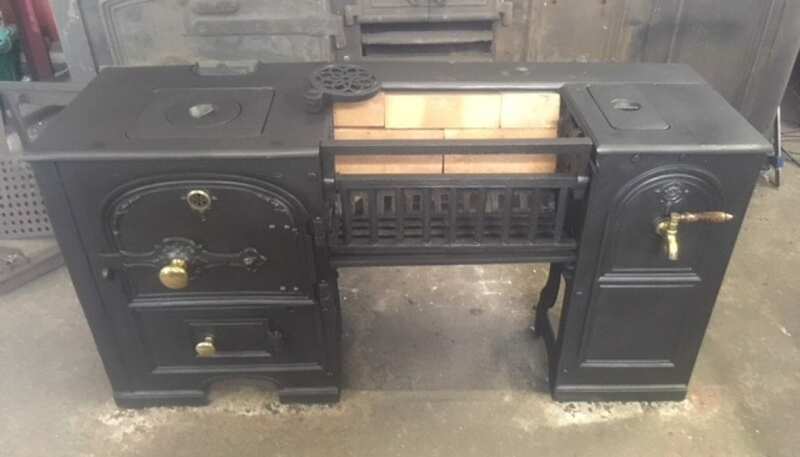 We carried out the full restoration here at our workshops in Bristol and brought it back to life again before shipping it back to Scotland to be installed.